Not everybody who spends time reading other people's blogs understands the concept of newsfeeds, and feed readers. Some people still prefer to use their email client as their feed reader. How do I get email notices, for new posts, from somebody else's blog? 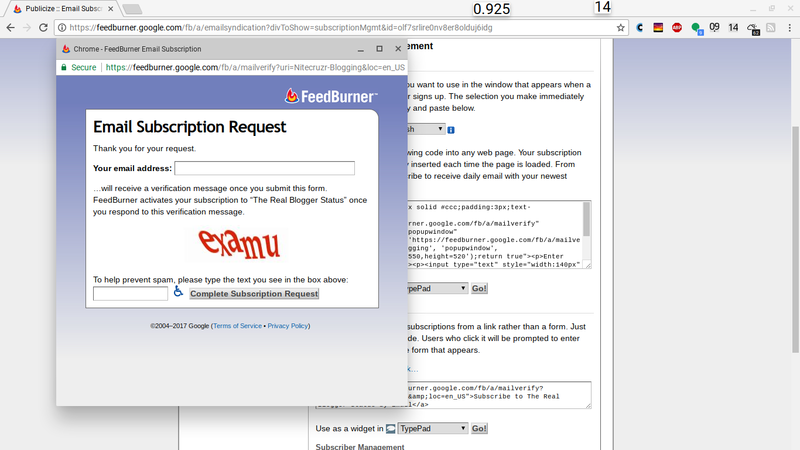 The standard reply used to be to ask the blog owner to setup FeedBurner email distribution, for their blog. Of course, this required that you contact the blog owner - and this isn't always possibile. If you think outside the box, though, you can setup email feed distribution, for any blog or website that publishes a feed. 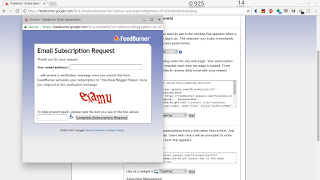 Setup a FeedBurner feed, for any blog or website that interests you. Setup email distribution, for the new feed. Subscribe to your new feed. Add another person using "Subscription Management". Add a feed, to your FeedBurner dashboard. 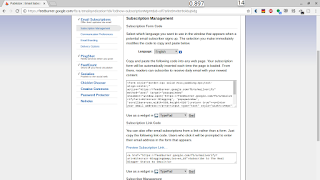 From the dashboard Publicize tab, activate the "Email Subscriptions" service. Normally, to subscribe to an email feed, you would enter your email address into the subscription form, on the target blog. Not all blog owners, however, provide an email subscription option. Since you're not the blog owner - but you are the feed owner - use the "Preview Subscription Link…" option, under "Subscription Management" - "Subscription Link Code", in the "Email Subscriptions" wizard, and enter your email address. Respond to the verification message, and you're done. 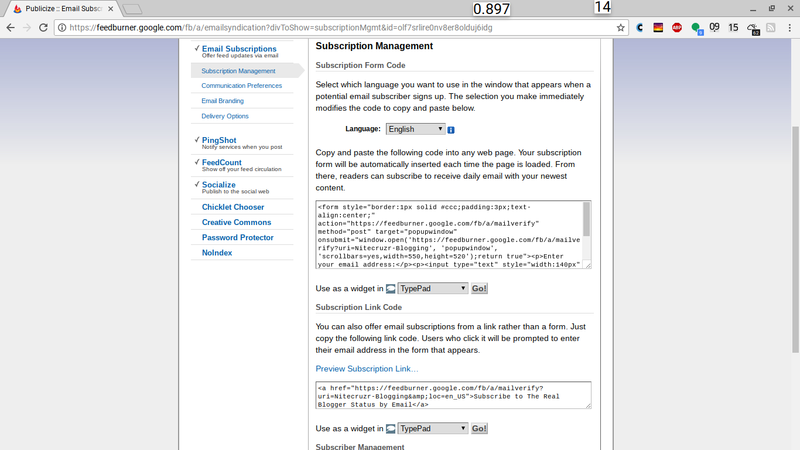 Click on the "Preview Subscription Link…" option, under "Subscription Management" - "Subscription Link Code". Enter your email address (or another person's email address), and solve yet another CAPTCHA. You can, alternately, add another person using "Subscription Management" - for your blog, or for somebody else's blog. Just make sure that your (the recipient) email client does not see FeedBurner email as spam, and you have your feed - for any blog or web site that publishes a feed - in your Inbox. good info and great post! I think I'll try this with a few blogs I'm following.